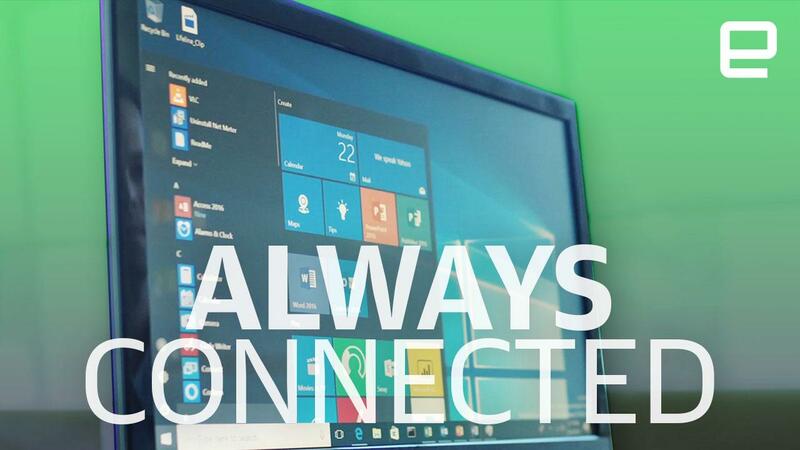 Always-connected computers bode well for the future of PCs. I wasn't expecting a major news announcement from Microsoft's Computex keynote this year -- not on the heels of events in New York, Seattle and Shanghai. What else could there possibly be to unveil after the Surface Laptop, Surface Pro and new Windows versions and updates? 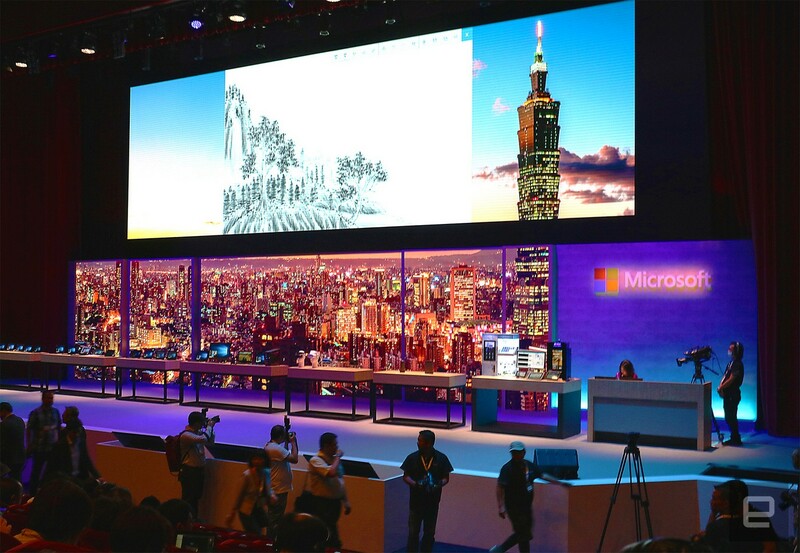 Turns out, Microsoft was saving the best for Taiwan. It showed off plans for its vision of "always-connected PCs", teaming up with Qualcomm and Intel to make future devices work the same way whether you are at home or on the go. These computers will combine the best features of smartphones, like constant connectivity, all-day battery life and portable designs, to deliver a reliable, powerful and always-accessible Windows 10 experience. "The PC is back in a big way," Matt Barlow, vice president of Windows and devices at Microsoft, told Engadget in an interview. It may be too soon to tell if that statement is true, but with all the plans that came to light this past month, it's clear the company has an aggressive strategy to slide into every aspect of our lives. In a matter of weeks, we learned about new Cortana skills for all kinds of assistant-enabled devices, along with Fluent Design for easier creation of apps across product categories and tools that know your habits and preferences thanks to the Microsoft Graph. And the most important piece of the puzzle is ensuring access to a full-featured Windows 10 wherever people are. That brings us to the always-connected PC -- a grand vision that Microsoft doesn't appear to have a very clear framework for just yet. It relied on its partners here at Computex to define the concept. For Intel, contributing to this vision involves making its existing and future modems support e-SIM, which allows devices to connect to data networks without needing a physical phone card. This is an important part of a PC revival, although it would be nice to see e-SIM capability built into its processors because Intel's chips are so widely used. In fact, Intel powers so many types of devices that integrated e-SIM for all its chipsets could make for a diverse range of connected gadgets, including wearables, headsets and speakers. And the company already intends to make that happen with Microsoft, as we learned when the two brands teased their AR/VR collaboration called Project Evo. Though we didn't hear much more about that this time, it wouldn't be surprising if they shared more details soon. On the other hand, Qualcomm's news is more consequential and clearly defined. Not only did we get details on what Qualcomm-powered PCs would do, but this was also the first time we've seen a Snapdragon chipset run full Windows 10. And based on the demo we got in a controlled environment, the Snapdragon 835 holds up well, making it a capable stand-in for a typical laptop system. Since it supports gigabit LTE connectivity, the 835 also enables cellular speeds that are faster than fiber and keeps you online without the need to lug around a hotspot. Thanks to e-SIM capability, it also lets anyone buy data in bite-size portions through the Windows Store. 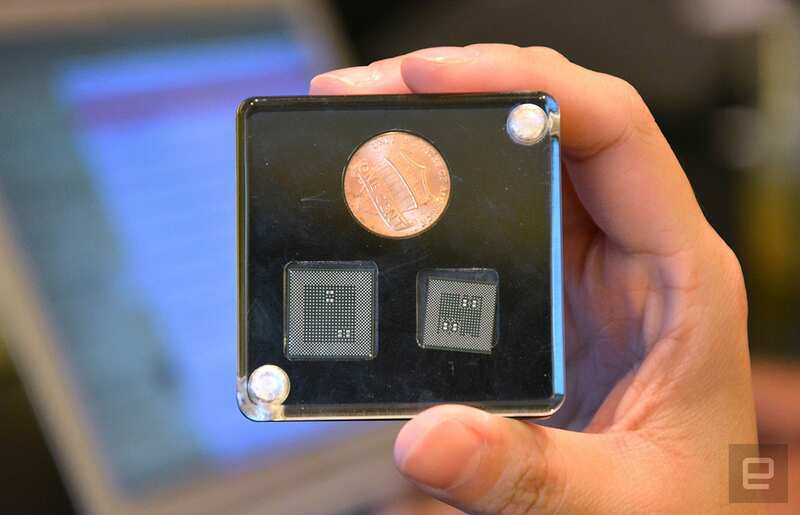 The chip's smaller size and power efficiency allow for potentially all-day (and beyond) batteries, while manufacturers can experiment with different designs and ways to make slimmer, lighter devices that are easy to tote around. And Snapdragon 835's processing muscle, typically reserved for powerful high-end phones, is also capable of managing desktop-level tasks like creating Pivot Tables and jumping across virtual desktops. But what's most impressive about Qualcomm's news at the show is how focused and well-defined it is. The company makes clear the four main benefits of Snapdragon 835 for PCs, so we know what exactly to expect. Connected PCs are already available, but the new standard could make for smartphone-like endurance, portability and standby features. And we already know that ASUS, Lenovo and HP are onboard, having promised to make always-connected PCs. The thing is, Windows on Snapdragon as news on its own is compelling. But when considered in tandem with all the other news Microsoft has shared recently, it is momentous. It's clear that borrowing smartphone features is to help Windows devices do better, but the move toward constant connectivity could help PCs not only survive but thrive.